Just caught up from...December... The tank look so great! Sorry about the blastos. I lost my pretty red and wintergreen one through a dumb error on my part and nearly lost one of my others but it is thankfully recovering in the hospital frag tank. Haha all good. I know you’ve been busy! 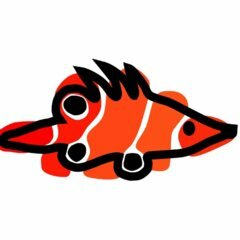 I hope you figure out what to do about your tanks. Sometimes getting rid of one or more is just the way to go. My mom and I just broke down our 45g fresh because neither of us was finding the time to give it the care it deserved. So much less stress now. I nearly lost my other blasto (the one that survived the weekend in the UPS truck last summer) as it wasn't doing well in the 15L but I stuck it in my little frag/hospital tank and it is starting to fluff out now so fingers crossed! I did lose my purple frogspawn, though, it never did well in the 15 and kept getting knocked over and I didn't rescue it soon enough. New corals!! (and I took some photos last night of the tank) Now that school is ending, and I have a few days before I start my new job, I’m hoping to give all my tanks a little TLC, fresh and salt. And I’ve been absolutely awful at updating, so a nice thorough catch-up is in order! Looking forward to it @fishfreak0114! I just got them all dipped and acclimated, and they look good! I think they may have accidentally sent me a blasto instead of a war coral though? I need it to open up. Well, here goes! So the tank has been on ultra ultra autopilot. I didn't even realize it could handle so much neglect. I scrape the glass once, maybe twice a month. I change the filter floss once or twice a month. I mostly have been feeding flake, but I'm trying to get going with frozen again, and focusing on target feeding coral. I haven't done a water change since the caulerpa went sexual, but things are doing great! It almost seems like the less I do the better things get. The yoda palys are growing fast, as are the red death. The rasta, which used to look like it would melt, has popped out two new heads! And the blue hornet is finally growing new heads too! The two baby plates that survived are growing really fast. They're so big now that they are tipped on an angle pressed against each other. They really like to eat! The dendro hasn't done its weird flesh bail out at all. I keep expecting it to happen, but it looks better than ever. I guess it likes the dirty water. The green polyp toadstool is finally putting its polyps out. I recently reorganized the coral a bit, because the top was just too full because the Japanese leather has grown a lot, as has the finger leather. I put the finger leather down to the right, and the Japanese leather at the back more. It still hasn't opened. If it doesn't puff up within the next couple days I'll put it somewhere else. I can't tell if it's pissed because I ripped it off the rock, or because the flow is a bit different. The blastos that seemed like they were dying recovered. I'm honestly so happy with how the tank is going. My lazy reef keeping ways have taught me that a mature tank doesn't necessarily need lots of water changes, especially when it's mostly softies. As such, I'm considering selling my RODI (which I never did get around to testing ). I don't mind buying 16L of distilled water every few months. I enjoy just letting the tank be. I intervene if things go awry, but for the most part I'm just watching nature unfold. It's beautiful. Sorry to hear about temhe Gonis. They sure are tough to keep. I’m 99% sure they sent me a blast I instead of war coral. Super jealous of how low maintenance you tank is! I'm pretty sure if I left my tank for a weekend, it would catch on fire and burn down the neighborhood. Like the Great Chicago fire which was started by a cow, the Great New Orleans fire would started by a blenny. 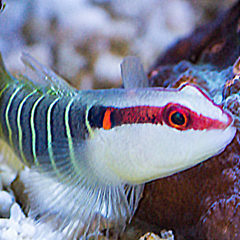 In sad news, I think polka dot the fire shrimp has passed away, I believe due to old age. I also think that Steve the serpent star is no longer with us. A couple months ago he was starting to look really rough like he was deteriorating, and I haven’t seen him at all. I’m honestly surprised he lived so long. He never was fully intact, right from the day I bought him from total pet (or partial pet, as some affectionately call it if that gives you an idea of the conditions). In happy news, all the new frags look great! The donut has really gotten poofy, it’s honestly pretty huge! It was only thirty dollars too, so I’m stoked! And the Zoas are all open and pretty. The cyphastrea also has polyps oit. I was worried since softies do best in my tank, but so far so good! Great pics, tank looks awesome! Love the clowns. Thanks! I love the clowns too, although the female is really nippy! Fish that nip make me laugh .... been thinking about grabbing a pair. The kids would love them. No pictures since June 27th?!?! Oh my. I've been so busy just living life I kind of shut nano-reef out. I spent over an hour this morning at work catching up on all the threads I follow. As I'm sure you can tell, I don't have a busy job I'm on my third novel in as many days. So the tank! Just about everything is doing really well. The leathers are growing, and the zoas. And the grape caulerpa grows like mad. It's my nutrient export. Speaking of nutrient export, I haven't done a water change since whenever it was that the feather caulerpa went sexual. Nothing seems upset by the lack of care. The only thing doing really noticeably poor is the dendro, which has had minimal polyp extension and is losing skin over the past week and a half. I did an iodine dip almost a week ago with no signs of improvement. It is, however, not getting much worse, so I still have hope. I'll do another dip soon. Aside from that, most everything looks fine. 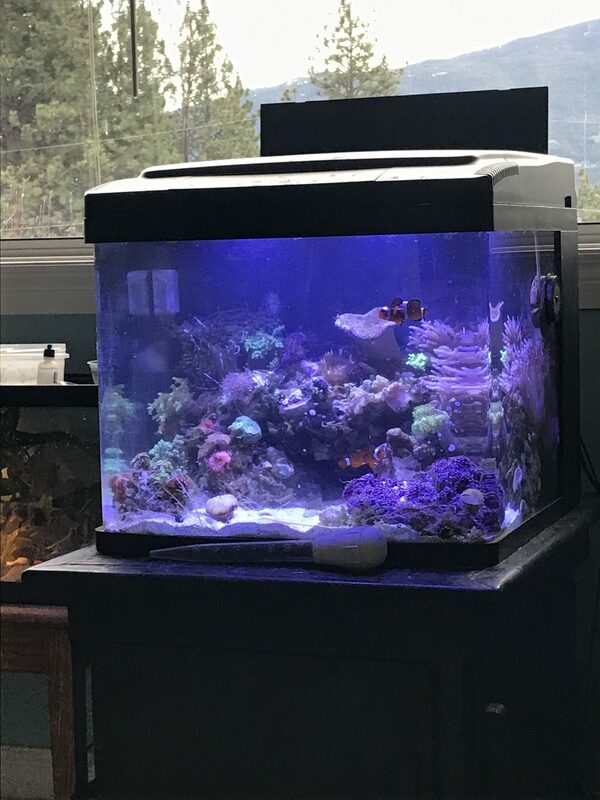 I see so many beautiful tanks on NR, with the corals carefully placed and the glass sparkling clean, and fancy care regimes, and I often feel like I'm not doing enough. But this tank is what I envisioned. It's what I want. I like it when things grow natural and out of control. I like things spreading into each other (except that darn GSP). So I guess what I'm trying to say is that despite the fact my tank is nowhere as stunning as tanks like @teenyreef, @gena, @Cannedfish, and the many others that inspire me and leave me in awe, my tank is where I want it. Lower maintenance than I ever thought salt water could be, filling in lush, overgrown with macroalgae, and full of movement. And I guess part of the reason I don't update much these days is also because of that--almost nothing ever changes. I really do need some updated photos though. By golly, I need to make a point of it! The corals from my last order settled in well, and the brown donut, despite its color, is a favorite. I'm thinking that I may do a really small (1-2L) water change with tap water and RSCP to raise alk and cal a touch. I'm not worried about my LPS so much, they seem to be used to the presumably really low alk and cal, but I noticed a couple days ago that I have baby limpets who would probably appreciate some stuff to make their shells. I've never seen limpets so small. A couple I thought might just be little bits of gunk on the wall, but sure enough, limpet! 1. No pictures...too busy with life...yep that's me. 2. Tanks are good other than a few minor things here and there...yep, that's me. 3. Things are spreading into each other and I haven't really spent much time doing anything other than letting it happen...yep, that's me. 4. Low maintenance and nothing much changing is OK because I like what I see...yep, that's me. PS: I'm glad things are going to so well! Well, your tank looks freaking amazing. I don’t know how the heck tanks like yours can be low maintenance. SPS would run in fear at the sight of mine I’m glad I’m not the only one doing minimal stuff to tanks though. And thanks! But wow, 8 months since I posted?! 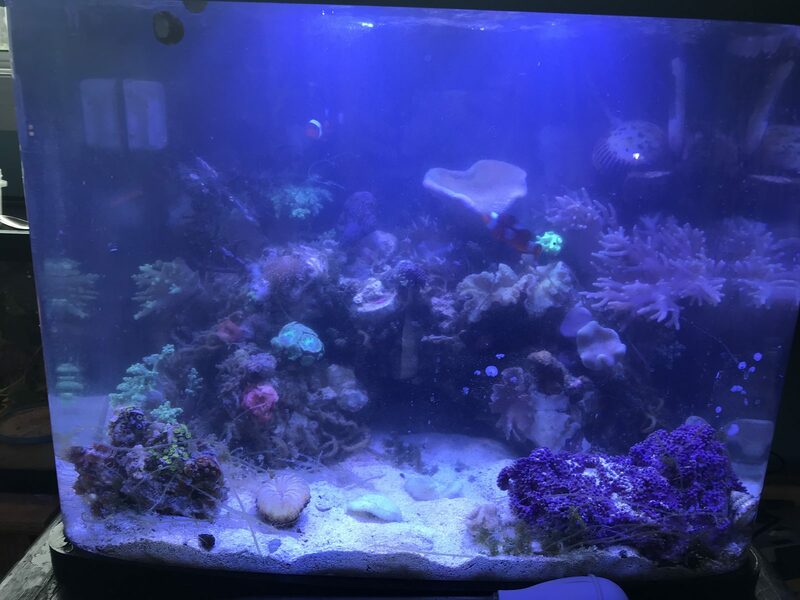 Tbh, I’ve pretty much dropped out of reefing. Grade 12 is stupid busy. Between trying to get through today’s school, planning for future school, and preparation for the grad event itself, I haven’t had much time to reef. The tank is on the ultimate autopilot. I feed when I remember, and top up when it’s low. I change the filter floss maybe twice a month. I realized yesterday that its not that my passion for reefing is burned out—in the chaos of life I’ve simply forgotten its there. Yesterday my mom and I took a trip to three different cities scouring every fish store. Only a couple carried salt, but I decided it was time I actually DID SOMETHING and brought that passion back. So, I bought a bunch of assorted snails and hermits since my old CUC has pretty much all died off. I got an emerald crab to help with algae, and a cleaner shrimp (which I haven’t seen since last night...). And a new toadstool. sadly, Bernard the blenny passed while I was on vacation last month. I think it was just his time to go. The other three are still going strong! Happy to see you’re back at it. A word of advice would be to forgo the filter floss if you’re only changing it that often. Doing more harm than good at that point. Nitrate factory! Still following along.